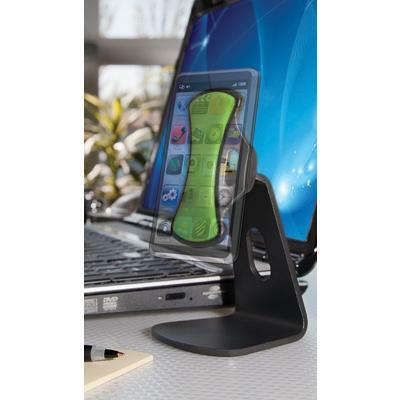 Multi-axis joint allows for infinite viewing angles. 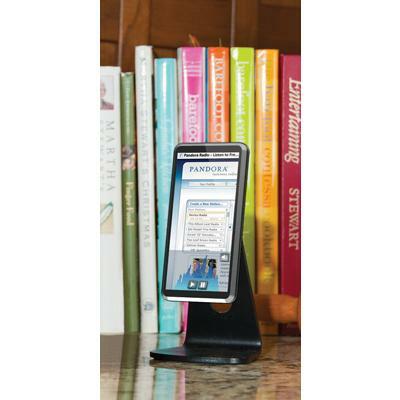 Solid steel base provides unparalleled stability. 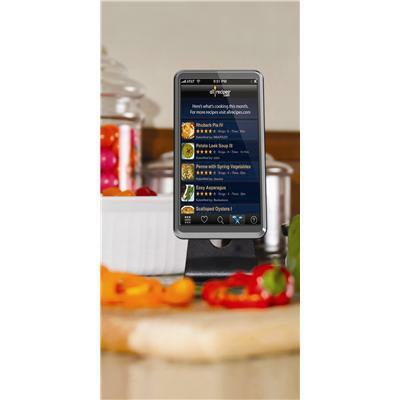 Allows easy, hands-free viewing of calls, text, emails, movies and other apps. 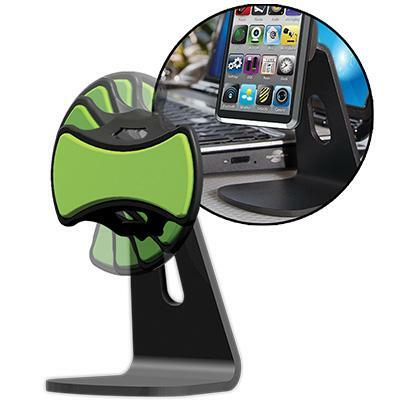 Great for use at home or the office on your desk, kitchen counter, coffee table, nightstand or where ever you happen to use your phone. Universal - any phone, anywhere. 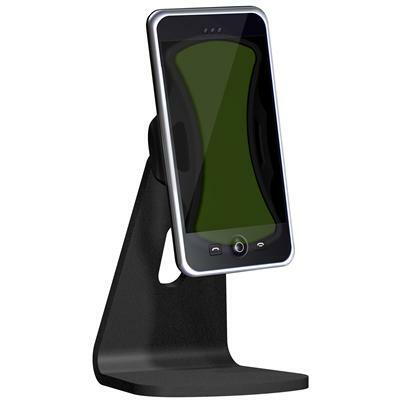 The Universal Podium™ by Clingo is ideal for use in your home or at your office to provide a secure mount for your phone when charging, syncing or accessing your media device - all at the same time. No adapters necessary…ever! You can rest easy knowing you have a safe place to put your phone so you never have to scramble to find it as you are running out the door. It's pretty simple, really. Clingo holds your phone. It doesn't matter if it is a BlackBerry, iPhone, Droid, Samsung, or whatever. 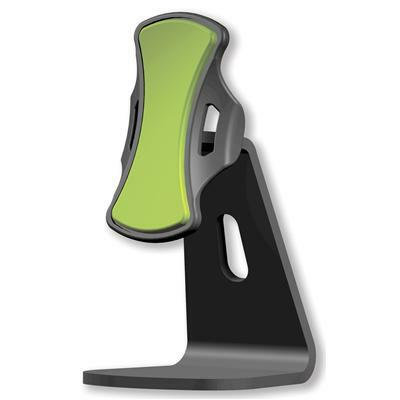 Whether in your car, at the office, at home or wherever - Clingo holds it. Step 2: This step is only for brand new cradles. Press your device firmly onto the new Clingo pad. Immediately remove the device. If when removing device you find it too difficult, simply touch the Clingo gel pad to your shirt or pants until desired stickiness is reached. 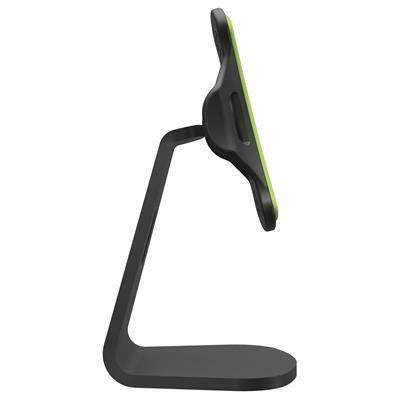 Step 5: Adjust the angle of the cradle to find the optimal hands-free viewing position. Step 1: Always remove the cradle from the ball joint and your mobile device from the Clingo pad before cleaning. Step 2: Run warm water with mild soap over Clingo pad and use fingers to remove dirt and dust. DO NOT use solvents to clean the Clingo pad. Step 3: Let the Clingo pad air dry completely before using. The Clingo pad WILL NOT stick when wet. Clingo pad from one side to the other (diagram 1). finger tips, use your middle finger or thumb to gently peel the mobile device from the Clingo pad from one side to the other. The Clingo pad is permanently bonded to the cradle. Do not attempt to remove the Clingo pad.